Membership rates are £7.00 for full access to the website (includes magazines as pdf downloads, free sample here), or £26.00 for the same plus our high-quality full-colour printed magazine delivered to your door three times a year. Each type of membership confers one vote. If your partner wishes to vote, s/he will need to become a member in his/her own right. Although the above rates are in pounds Sterling, we accept card payments via Paypal, so you will pay in your own currency. Click here to check conversion rates if you wish, then choose a subscription level, click Next and answer the questions on the following pages in as much or as little detail as you wish. Remember that you are joining a group of like-minded people in a secure environment, so there is not as much need to be security-conscious as in open-access groups such as those provided by Yahoo or Google. Payment: an online, recurring Paypal payment can be initiated during this process. If you prefer not to pay in that way, select 'Invoice Me' on the Review and Confirm form, and your provisional membership will be activated. You will then receive an invoice by email, with details of alternative means of payment - one-off Paypal payment, cheque by post or bank transfer. If you would prefer to pay by credit card, please select 'Invoice Me' as above, then contact treasurer@junkrigassociation.org requesting a custom invoice. A custom Paypal invoice can then be raised and sent in an email, through which you can make a 'guest payment' using a credit card. Acceptable cards include Discover, Maestro, American Express, MasterCard and Visa/Visa Debit/Visa Electron. 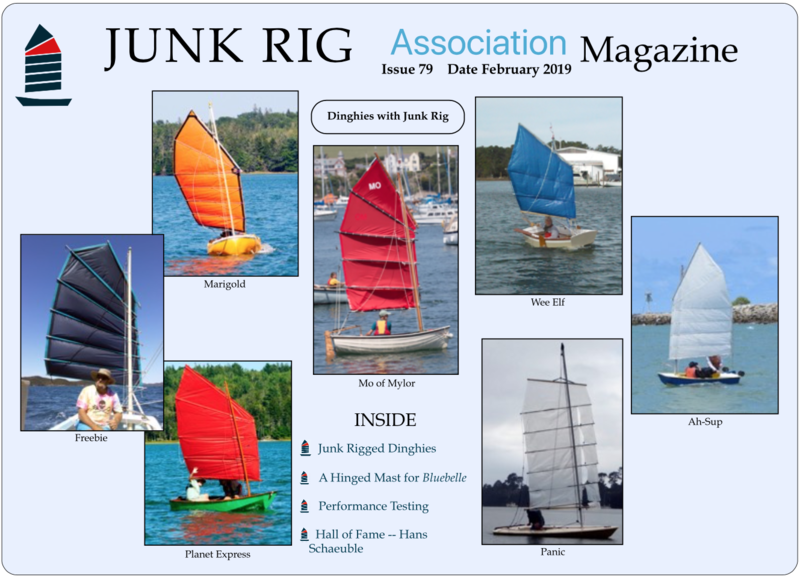 If you are already a member of the JRA but have not yet gained access to the members' pages, please contact webmaster@junkrigassociation.org for help. JRA Membership - £7.00 (GBP) Subscription period: 1 year Automatic renewal (recurring payments) Choose this option to gain access to all areas of this website, to be granted voting rights, and to be able to download the JRA magazine in PDF format. You can change to 'JRA Membership + Paper Magazine' later, if you wish. JRA Membership + Paper Magazine - £26.00 (GBP) Subscription period: 1 year Automatic renewal (recurring payments) Choose this option to gain access to all areas of this website, to be granted voting rights, to be able to download the JRA magazine in PDF format, and to receive the printed and mailed JRA magazine. You can change to 'JRA Membership' later, if you wish.